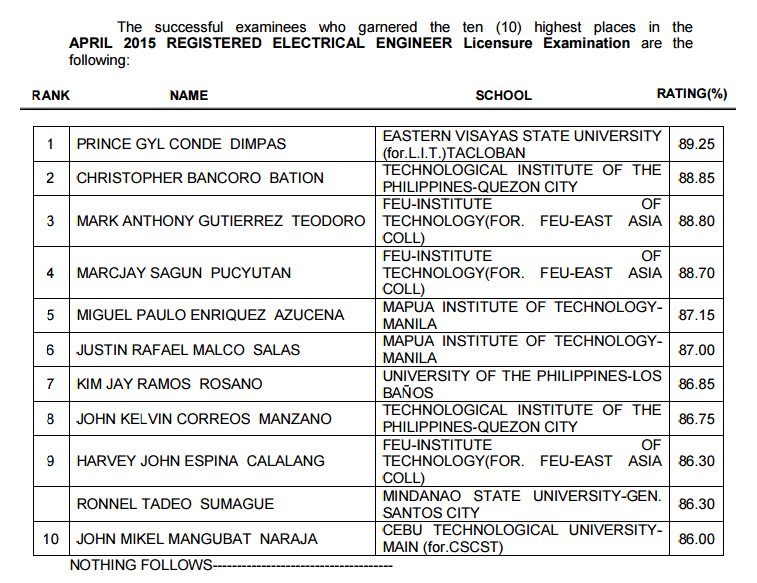 The Professional Regulation Commission (PRC) officially announced on Thursday, April 30 the list of passers for April 2015 Electrical Engineer board exam. Prince Gyl Conde Dimpas, graduate of Eastern Visayas State University (EVSU) - Tacloban topped the Registered Electrical Engineer (REE) board exam with 89.25 percent grade. 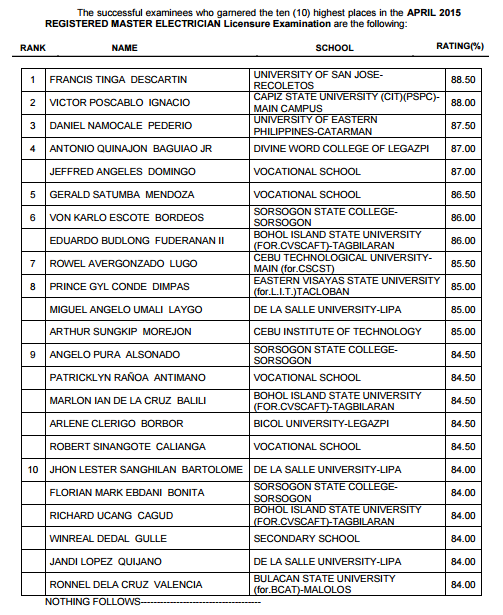 Francis Tinga Descartin from University of San Jose Recolestos (USJR) grabbed top spot for Registered Master Electrician (RME) licensure exam. Technological Institute of the Philippines (TIP) - QC graduate Christopher Bancoro Bation placed second for REE with 88.85 percent grade.